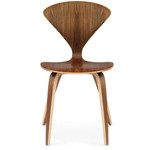 Considered a pioneer in molded plywood, Norman Cherner used this method to create a line of seating for Plycraft that led to his famous Cherner Chair. 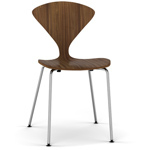 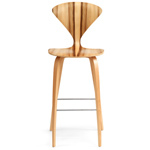 Plycraft produced this chair after telling Norman that his plans had been scrapped, even taking credit for his design. 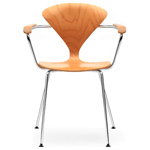 The chair became even more famous after it was depicted by Norman Rockwell in the 1961 painting “The Artist At Work.” After suing the Plycraft company, Cherner received royalties, but production ceased by the 1970s. 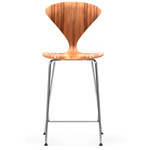 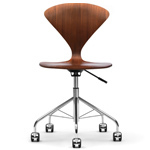 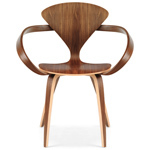 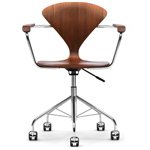 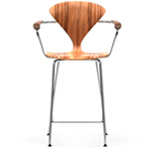 Cherner’s work was mostly relegated to galleries until his sons revived his original designs in 1999 under their newly-formed Cherner Chair Company.